The Nigerian American designer’s collection for Sé is the latest of his vibrant, spiritual creations. To talk to Ini Archibong is to experience the rare, satisfying energy of a person in tune with his inner self. 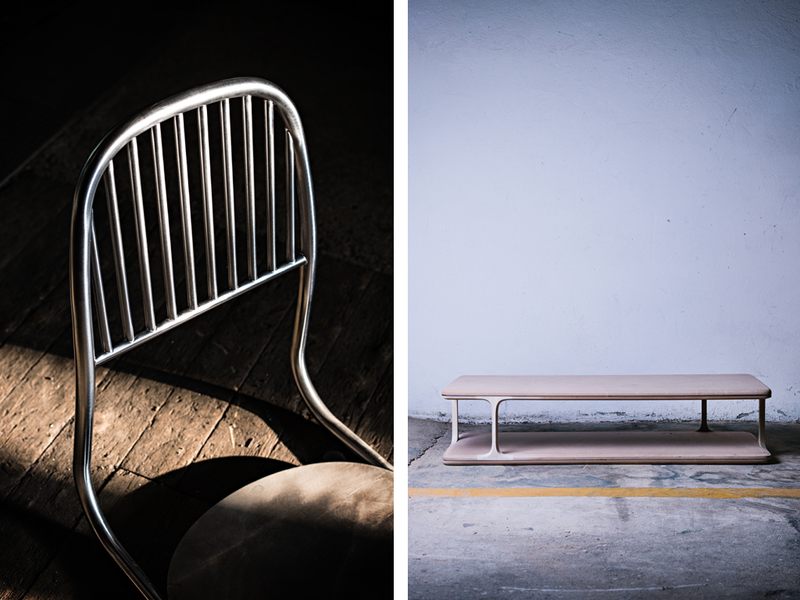 The American-born, Switzerland-based designer recognized a similar zen-like clarity in Sé, the discerning European furniture line that selected him to devise its fourth collection, “Below The Heavens,” debuting during Salone del Mobile in April. “Sé creates objects that exist somewhere between fantasy and reality—you could never write down what they’re about, but you can feel it,” Archibong says. The series, which totals more than 20 pieces that will be rolled out over the next two years, showcases his penchant for color and sumptuous materials, resulting in wide, rounded functional sculptures. For Archibong, designing furniture is more than a passion. “I have a philosophical stance that we’re here with the gifts we’ve been given to benefit everything around us,” he says. It’s a statement that reveals much about the 34-year-old, who was raised in Pasadena, California, in a tight-knit religious Nigerian community sought out by his parents, who immigrated to the U.S. to attend East Coast colleges. He studied at Polytechnic School, an elite college prep institution where he discovered art as a means to channel his desultory emotions and hyperactivity, which often got him into trouble. Bright and quick-witted, Archibong earned a Presidential Scholarship to the University of Southern California, where he ditched business courses to pore over books at the local Theosophical Society library. Upon realizing he’d only be fulfilled by affecting the world in a way that was uniquely his own, he quit. “Dropping out was one-hundred percent tied to spirituality,” he says, while declining to identify with a specific religious sector. “Everything I design is a spiritual process. It’s part of my minute-to-minute life.” He moved back home, talked his way into a job at a local architecture firm, and applied to Pasadena’s Art Center College of Design, where he spent the next five years completing its Environmental Design program. His process is also tied to California, specifically the L.A. beat scene, in which he was involved during his post-USC years. Each design begins with selecting a record that captures the feeling he’s trying to achieve; he’ll loop a track, add a rhythm, and begin sketching. Every project has at least an EP’s worth of songs. 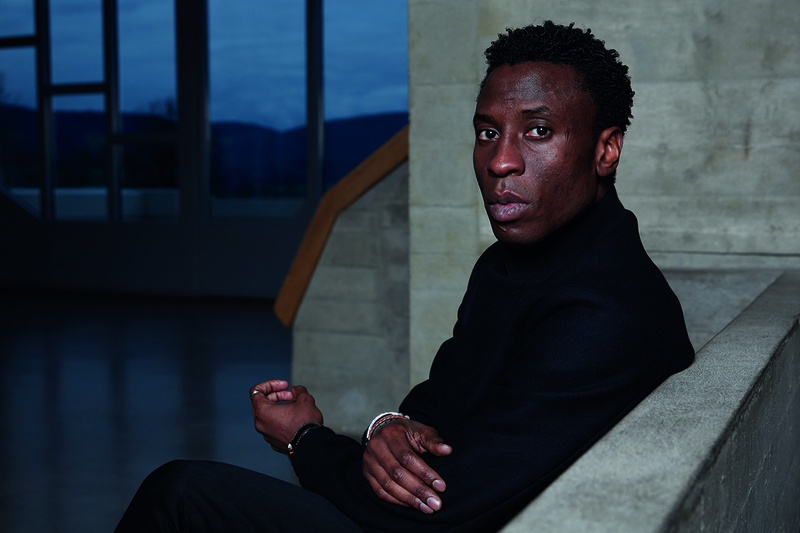 To complement his technical training at the Art Center—where, while sanding a foam model of a table leg for a 2009 class, he fell in love with furniture making—Archibong enrolled at Switzerland’s L’École Cantonale d’Art de Lausanne to develop a more craft-focused approach (and get his foot in the door with European clients). Upon graduating, in 2015, he began designing “In the Secret Garden,” a collection inspired by fairy tales and mythology. 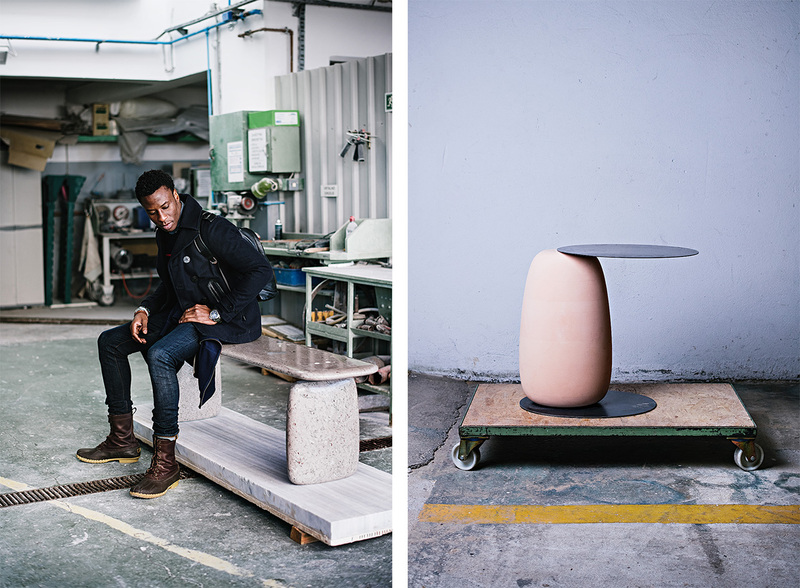 Considering he had mainly completed commercial projects before, the project signaled Archibong’s desire to be both an artist and designer, as did his glass-blown floor lamps for Formentera and CNC-milled marble Erosion collection for Lapicida, both completed last year. Now, in the vein of his hero Marc Newson, Archibong plans to establish himself in the luxury market and work his way back to industrial design. He’s freelancing for Hermès, working on pieces for a to-be-revealed gallery, and creating platforms to help young designers establish themselves in the industry.